Shallow, turquoise waters, white sand, exotic ambience. Could you ask for anything else for a perfect holiday in Crete? Elafonisi is a small islet, connected to the rest of Crete by a shallow reef that is crossable during calm seas. The whole effect is like a painted landscape. The most-photographed beach in Greece where a famous shipwreck is the star attraction for visitors who want an authentic castaway experience. The most well-known beach in Mykonos, thanks to its parties that go on all day and all night. This is one for young people who want to dance the night away. Known as lover’s beach this two kilometer long beach is ideal for an afternoon stroll as the sun dives into the Ionian Sea. Golden sand and green and blue waters. You cannot resist this beauty! The turquoise color of the water transports you to a beach of the Caribbean. It is one of the unmissable beaches that you simply have to see when you visit Crete. One of the best beaches of Crete with crystal clear waters. It’s a great choice for families who simply want a beautiful beach. Golden fine sand, clear blue waters and mile long, are just the stats of this beach whish is a Greek favourite for years now. Perfect both for families and couples, this beach is a must visit for everyone who loves the Cyclades. The most well-known beach on the island of Kefalonia. The beauty of its pebble beach and white cliffs has seen it voted into one of the top ten beaches in the world! The famous 'Canal D'Amour beach consists of remarkable cliffs and rock formations formed by the wind. Its natural beauty makes it a favorite for any visitor. This is an ideal beach for adventure: Red Beach on Santorini is, perhaps, the most intriguing beach in Greece. With the imposing red cliff, the hot pebbles and its deep blue waters you will not want to go anywhere else. 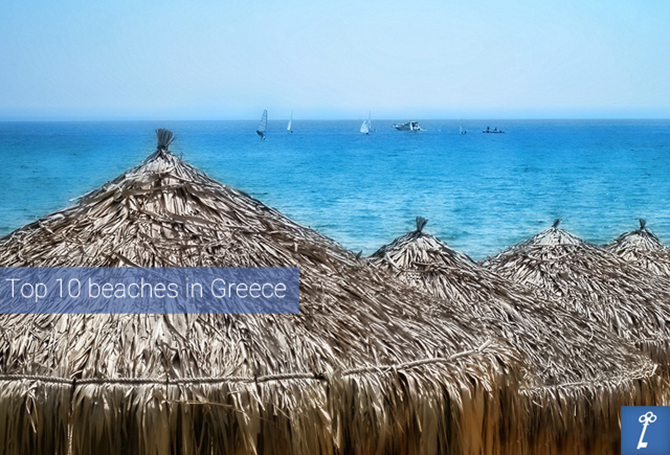 Book your holidays in Greece!